Sorry for the radio silence on Friday - the week got away from me & work had me drowning. Then magically Friday afternoon after a fit of sneezes I was sick. No joking. Full on drippy nose, light headed, nauesous, major sore throat! So my weekend consisted of naps, a bit of whining (bc I mean when you feel like a$$ how can you not?! ), and then more naps! I wish the above was my night stand, oh no mine was littered in tissues and Halls wrappers! HA! What a site I was! Oh well onto this new week, and I hope to get better soon! For it tis my b-day tomorrow and who wants to be sick on their birthday?! Not this chica! aw hope you feel better!! so sorry you've been sick! hope you're feeling better!! Ugh. Hope you are feeling better. Being under the weather is the worst! Did you get a picture of your nightstand? I want to see it. Aghr! What a bummer! Sick days should happen during the week! Ah feel better! Mine wasn't so much more exciting than yours! 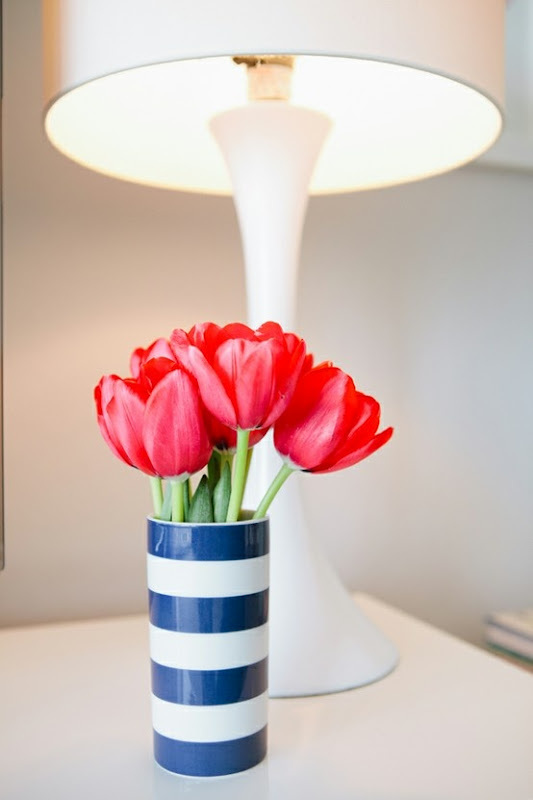 Darn, I wish it was your nightstand -- I love that vase! Happy birthday, Taylor! Hope you're feeling better!